Travel tips for students that want to visit Dubai. Have you decided to spend your holidays in Dubai, the United Arab Emirates? Without a doubt, Dubai is the place of luxury hotels and the most expensive cars. It evokes images of extravagance, excess and wealth. And however strange this may sound, Dubai is also great for students. In today’s post, we will help college students plan their trip to Dubai without going bankrupt by giving some helpful student travel tips. Although Dubai is well known for its exclusive restaurants, it is also possible to enjoy a more informal (and cheap) lunch or dinner if you visit the Al Diyafah street, where you can try local delicacies in one of the many restaurants or cheap cafes. With a gastronomic variety that goes from Lebanese to Iranian cuisine, you will have plenty to choose from without having to spend too much money. 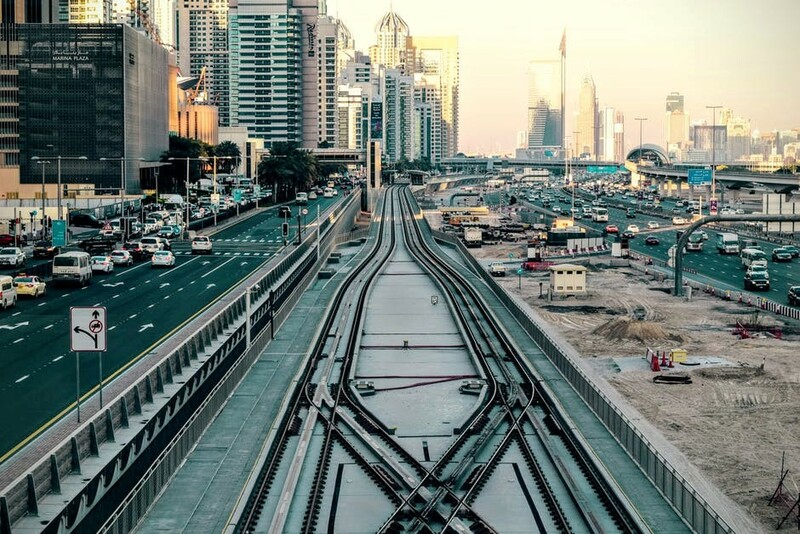 A day pass for the subway will only cost you 14 AED (United Arab Emirates dirham), just over $3. The trains are neat and air-conditioned, which makes them the best way to get around the city if you want to travel to Dubai for cheap. Keep this travel tip in mind when planning your student budget trip to Dubai. For 1 AED (about 20 cents), you may want to take a 10-minute ride to the souks in a traditional wooden boat called abra. Sit back, relax, admire the views and immerse yourself in the contrasts between the old and the modern that give this city its unmistakable charm. Famous for its counterfeit design objects and tourist souvenirs, the Karama Market is an amazing place to shop when you have a small budget, as most college students are. What is more, if you don’t want to spend much there, you may try to bargain over certain items, which is going to be a fun experience. An hour and a half from Dubai there is the fourth largest city in the United Arab Emirates called Al Ain. You can go on a picnic there or drive to the incredible Jebel Hafeet mountain or, if you are going with your group mates, visit the Al Ain Wildlife Park, which is one of the most impressive zoos in the Midwest. It costs 20 AED (just over $5) for adults, but there are discounts for students. Many of museums in Dubai have free admission. So, why don’t you visit the Dubai Museum to see the traditional lifestyle of Dubai? Plus, it is the oldest building in the city. Or maybe you could take a tour around the Camel Museum. By the way, in that museum, you can take a picture of a stuffed camel. Regardless of which option you choose, these are the activities to consider when traveling to Dubai as a college student. Dubai Creek is another good place for students, as it is an amazing place to enjoy the weather and take a break from your regular college assignments. Speaking of which, if you need help with your homework just google someone to do my assignment while you are on a trip and get your homework done. Back to the park. The ticket costs 5 AED, and you can take the funicular for another 25 AED to contemplate the city from the height without spending a fortune. Despite being famous for its modern designs, this part of the town preserves its charm and history. Ancient old headquarters of the wealthy merchants, its streets today are full of cafes and shops. And the best thing is that walking there will not cost you anything. Specifically, we suggest that you go see a Pehlwani wrestling match. Each Friday, you and your fellow college students can join the people to watch how two contenders try to push their opponent off the arena. The perfect entertainment if you plan to travel to Dubai and you are not really into museums or galleries. Traveling to Dubai for cheap is easier if you are a female student and you are lucky to be in town on Tuesday since you will discover that this Dubai’s night is very cheap. Many bars will offer you a couple of drinks on the house, while others will give you champagne without asking for a penny. Perfect! The most popular bars are Boudoir, Rock Bottom, The Westin, Longs Bar, Carters and Double Decker. We hope that you enjoyed our travel tips for students and you will now visit Dubai while still in college since such a trip could be quite budget friendly :).